If you know me, then you probably know this. If you don’t know me, well, now you know: I am a history buff. I know, I know, I get this reaction quite a bit. People think that just because I like playing with makeup that I do not have any other interests. Or, they think I am an airhead. 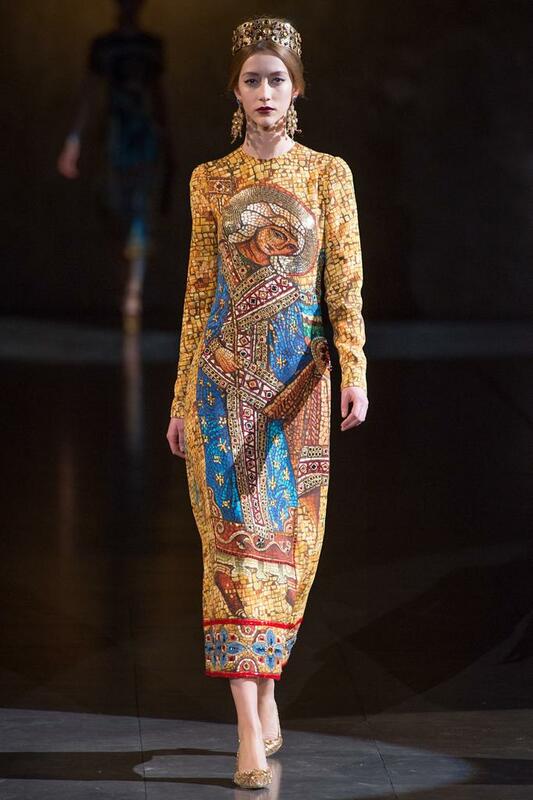 But, I am actually quite fond of history– especially historical fashion. 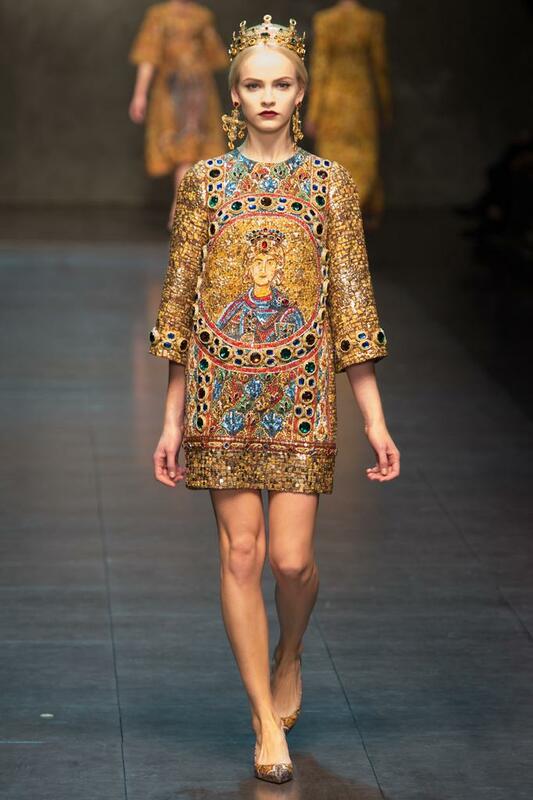 This probably explains why I am so drawn to Dolce & Gabbana and essentially anything that has historical elements to it. 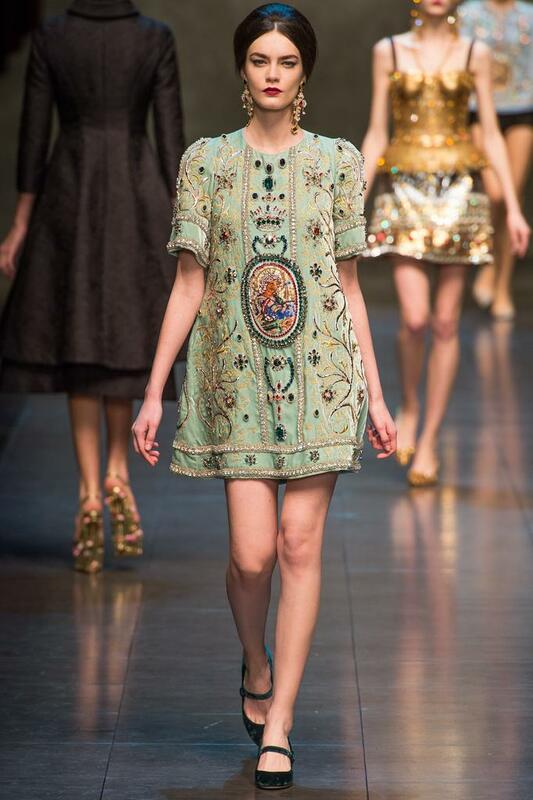 When you see their designs, you know instantly that it is Dolce & Gabbana; that is what makes them stand out. In a world full of so many fashion designers, you need something other than a logo that makes you stand out amongst the crowd. 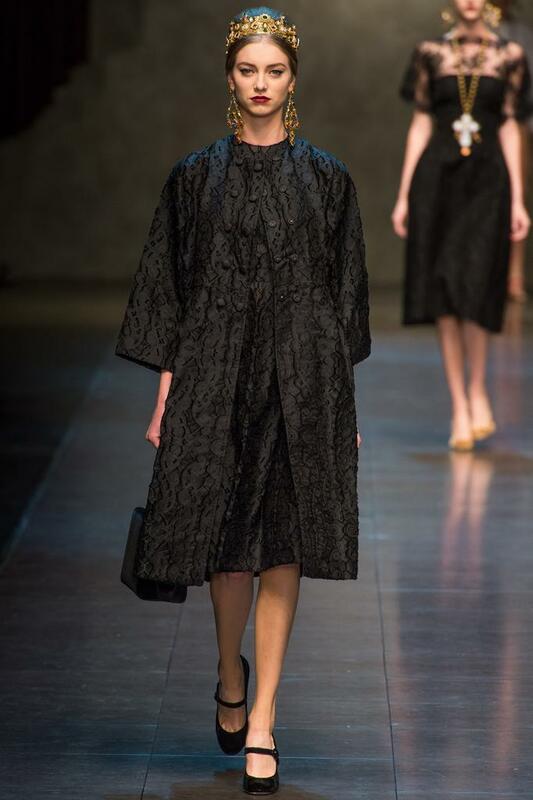 Or should I say, to stand a fighting chance amongst the crowd because their Spring 2015 collection was inspired by a Spanish tradition: bullfighting. The collection was full of ensembles reminiscent of something worn by a matador during a bullfight– is this the Spanish version of the menswear trend? Of course there were lots of blacks and whites, but the color red is what really stood out; the color of blood. 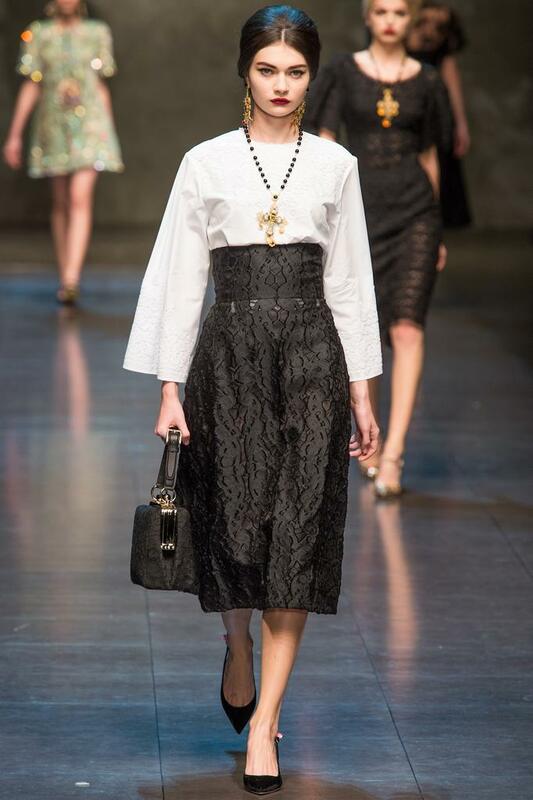 The collection also consisted of long flowy skirts and short shorts that really showed off the models’ long legs. 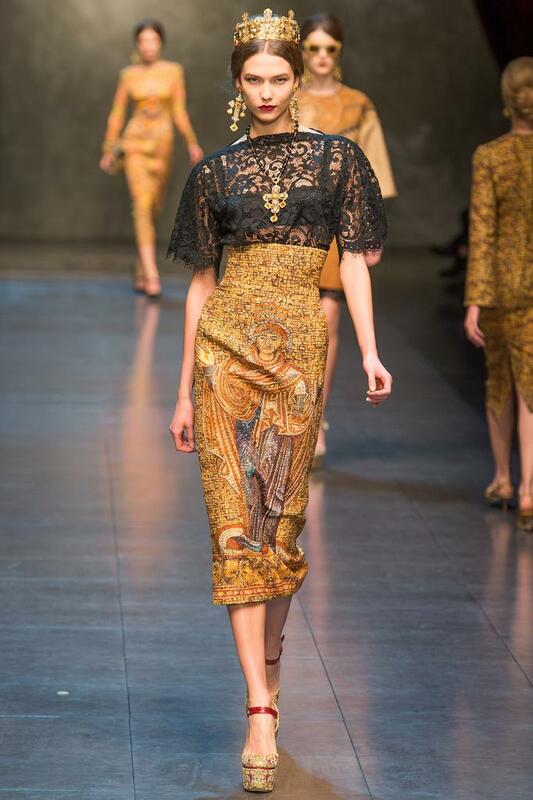 The naughty lace and Baroque style gold accents really caught my eye and went perfectly with the whole collection. *sigh* I can’t get enough of these two designers. I could stare at their designs all day and night. 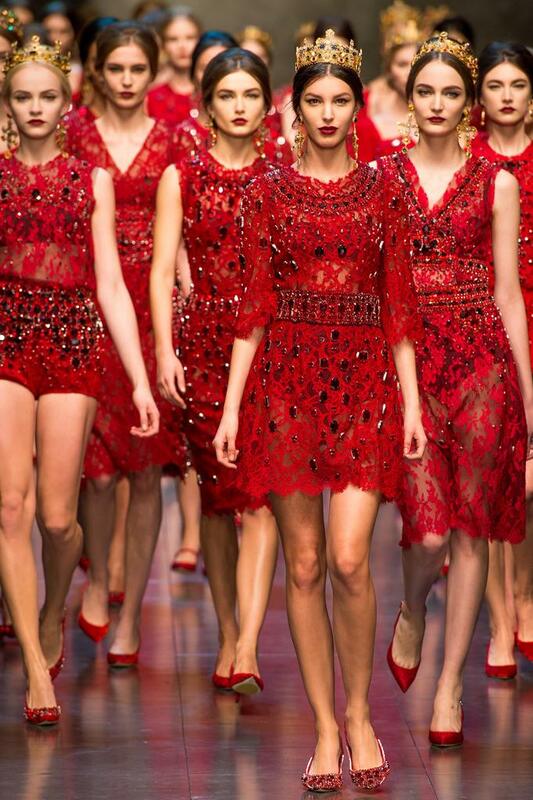 The best part of the show had to be the finale: the Dolce army charging down the runway at the end adorned in white bullfighter shirts tucked into red embroidered high-waisted shorts. Now that is a bullfight I want to see! So, who’s ready for a hot night in España? I know I am! 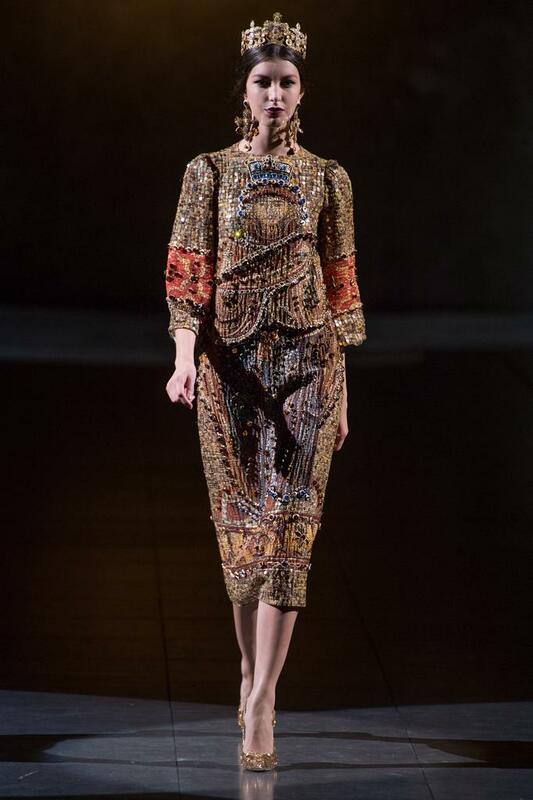 What did you think of their collection? Who is your favorite? Let me know in the comments below!